As you will know we are always looking for more help, to ensure we are not over reliant on current individuals. It’s important you get a chance to experience a variety of roles so you can help in a role you enjoy whilst someone experienced is around to guide and help you. If something you try is not for you – don’t worry there are plenty of options on or off the poolside where you can help so please say and try something else. We really can’t continue to do all we do now if new individuals do not step forward to help with the below. We are close to making detailed plans for the new pool in Littlehampton and we need to know we have the support in place to make the most of this and other opportunities may provide for our swimmers. We’ll be shortly circulating details on forthcoming ‘trial’ sessions and training dates but you don’t need to wait – we have plenty of upcoming opportunities to try your hand at any of these roles. Swim Shop and Help Desk Help us maintain a poolside presence for gala entries, new and lost kit and questions about the club on a Tuesday and Friday night. Grants and Fundraising Keep informed about grant opportunities and help complete applications for special projects and events. Ensure we have a pipeline of things such as raffle prizes for our club galas. Health & Saftey Officer Help us regularly review and update the Health & Saftey assessments for all our pools, sessions and galas. IF YOU HAVE BEEN IN THE CLUB OVER 6 MONTHS AND ARE NOT CURRENTLY REGULARLY OFFICIATING AND TRAINING AS A J1T, LANE HELPING / COACHING OR ON THE COMMITTEE THIS IS AIMED AT YOU! Not all these roles require you to be poolside every week / session. Some roles can be done only in your time at the pool. 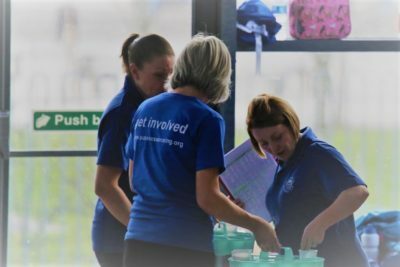 None have to be Committee Roles but we’d welcome a discussion with anyone who may be interested in one of these roles as a Committee Position and make you an active part of driving the club and swimming in Littlehampton and the local area forward.